Everybody everywear wears red + pink, and so do I! It's been a while since I've styled an outfit for the blog, boy do I miss it! I have been uber busy writing up statistical simulations for a new gene set enrichment method my research group and I are trying to get ready for publication soon. That's the life of a grad student! I have been so buried in work that I spent Valentine's day with the bf, doing statistics homework. Yep, you still get homework in grad school. 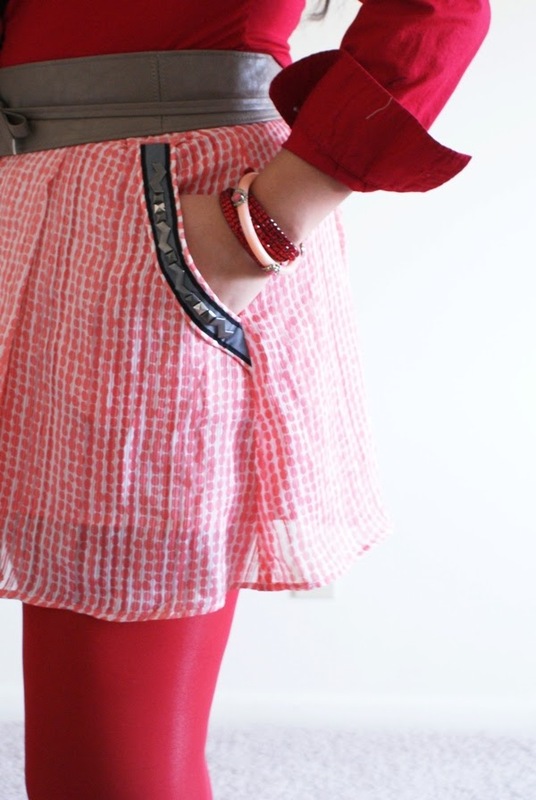 So I actually wore this outfit post-Vday. 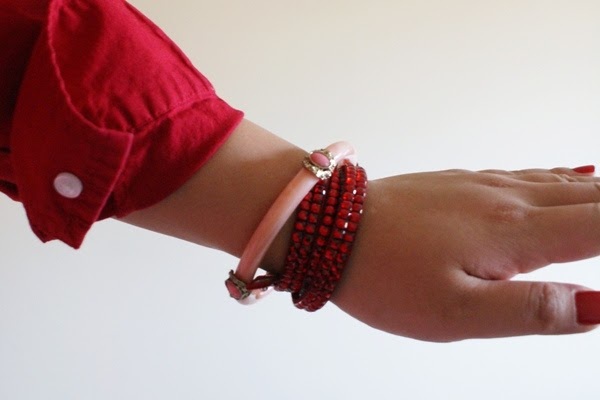 This red wrap-around bracelet was also one of my $10 BaubleBar buried baubles. Ain't it purdy? 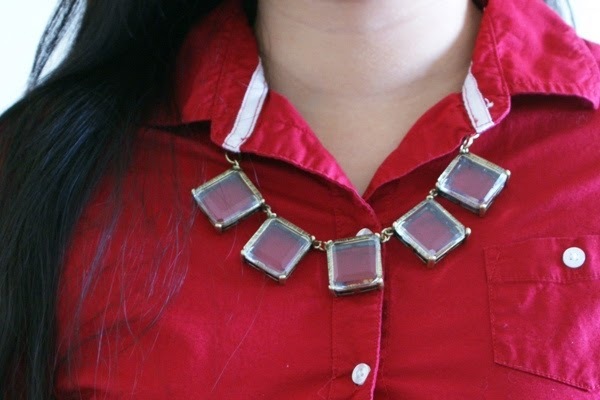 This necklace was also one of my $10 buried bauble finds. 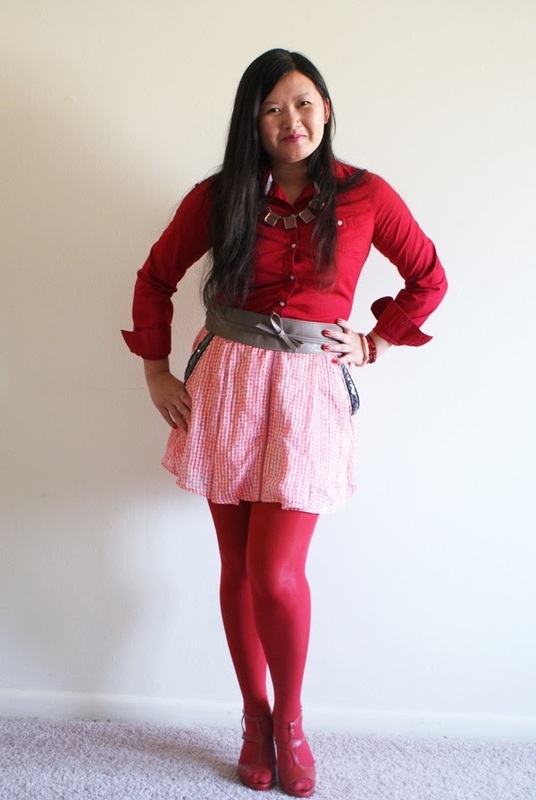 I was inspired by Sydney of Sydney Style (formerly known as Think Thru Fashion) to wear red shoes with red tights, mono color on color on your lower half can create the illusion of long legs! Muah! 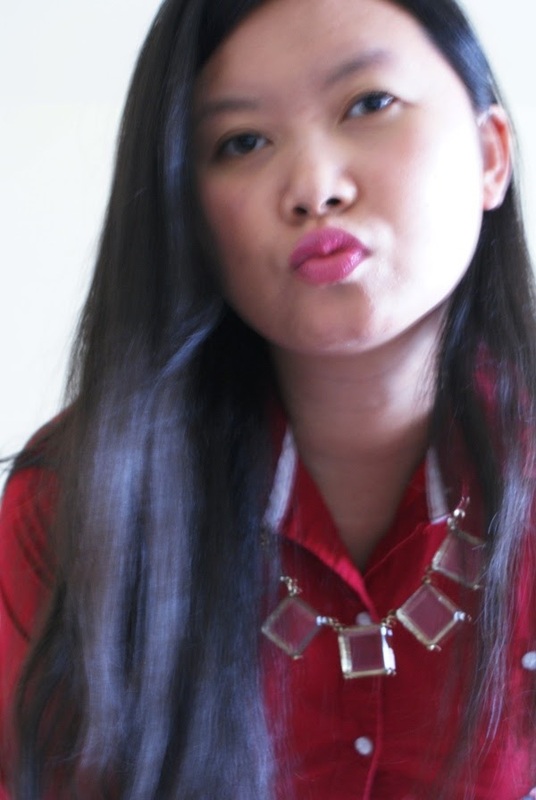 I love my new 'Sweet Tart' Revlon lip butter. Serious amazing stuff! If you have a chance to pick some up, do it! How do you wear red and pink together? Make sure you check out the other EBEW participants here.